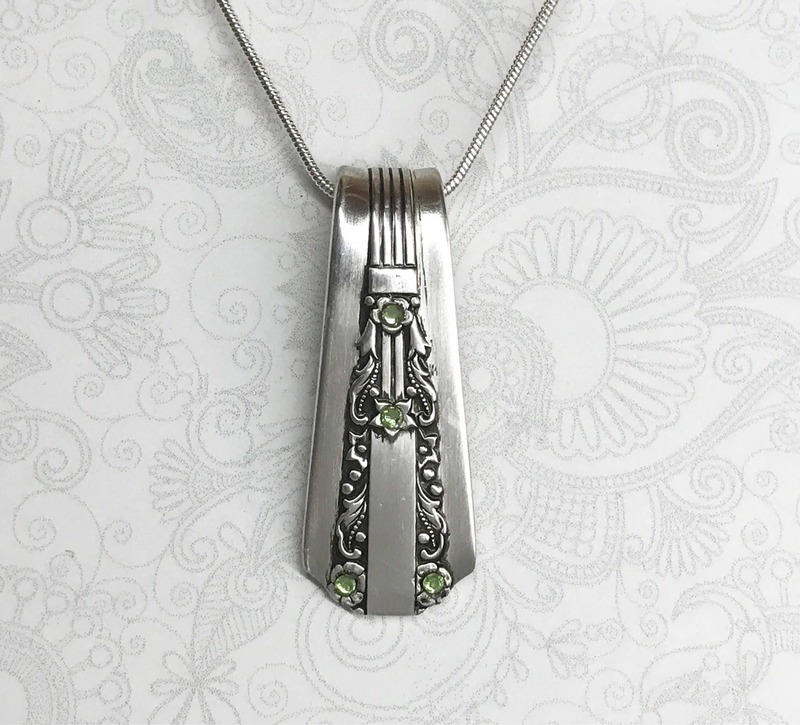 I crafted this elegant spoon handle necklace from a vintage silverplate teaspoon in the "Lido" pattern and embellished it with tiny peridot swarovski crystals. This pattern is from 1938, making it about 76 years old. The spoon's original beauty has not been altered or disguised, but enhanced with just a bit of color and flash. 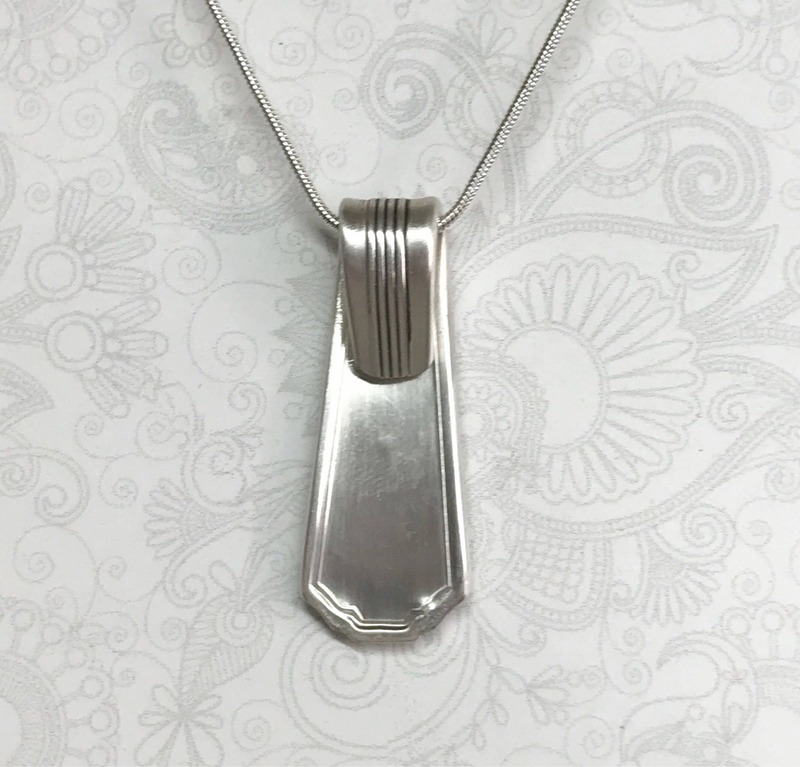 This spoon necklace has been cut, formed, cleaned, polished and treated with a special anti-tarnish cream to return it's original gleam. 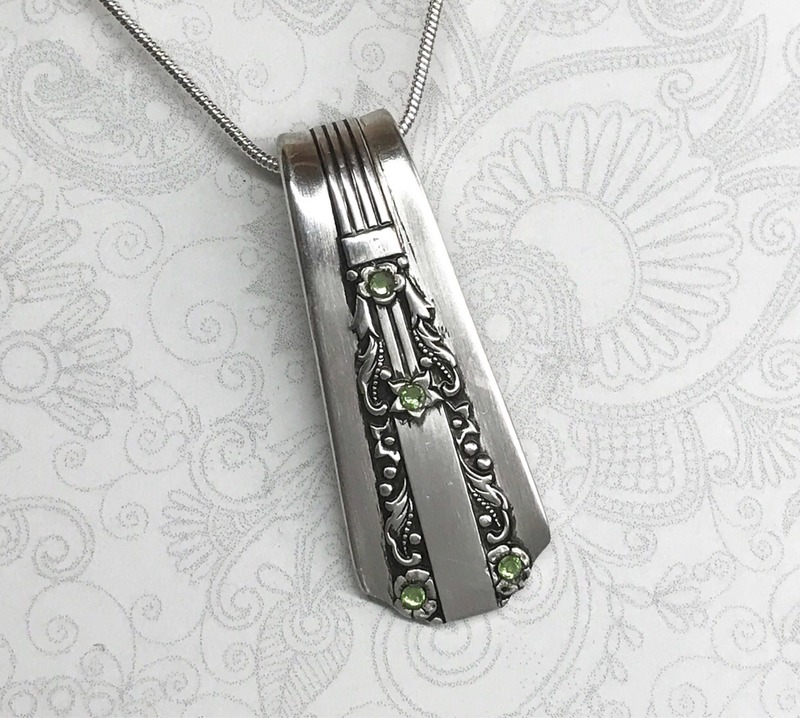 It measures 1 1/2", so I would classify it as a medium spoon pendant, and not at all heavy. 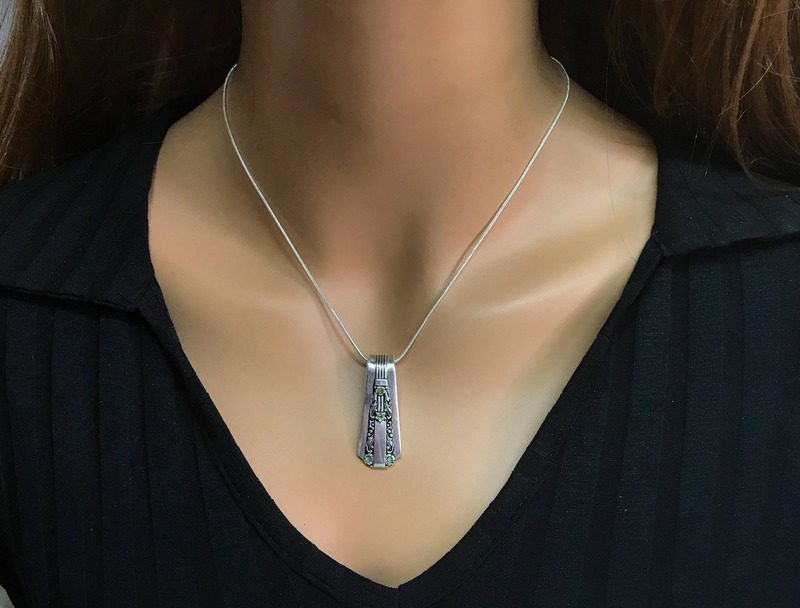 This spoon pendant is shown on an 18" silver plated chain with a lobster clasp closure. 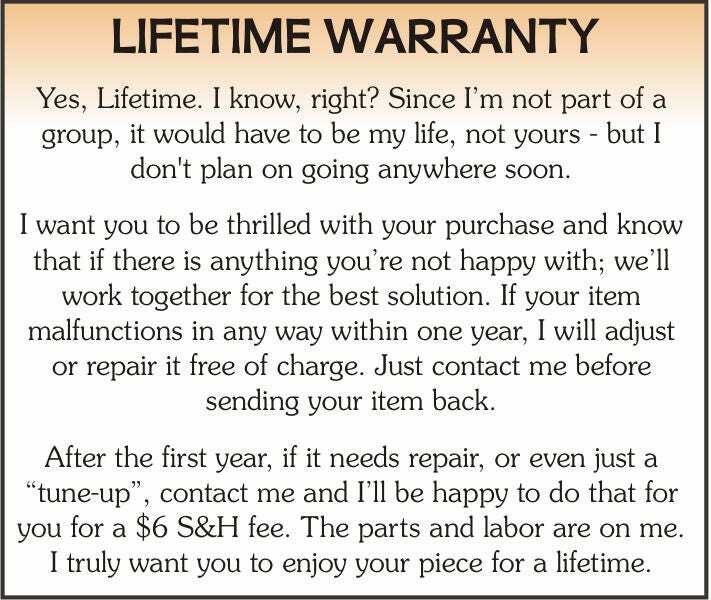 If you'd prefer a different length, you may opt for a 16", 20", or 24" chain instead. 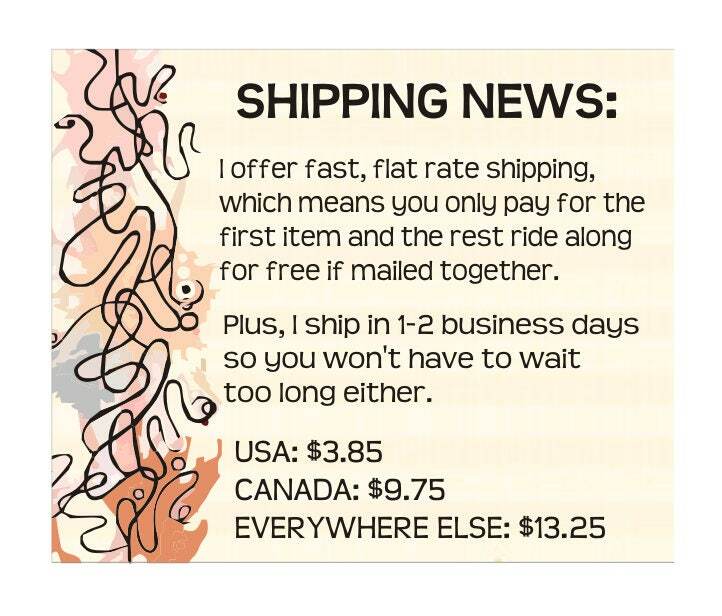 You can choose whatever length you'd like at checkout. 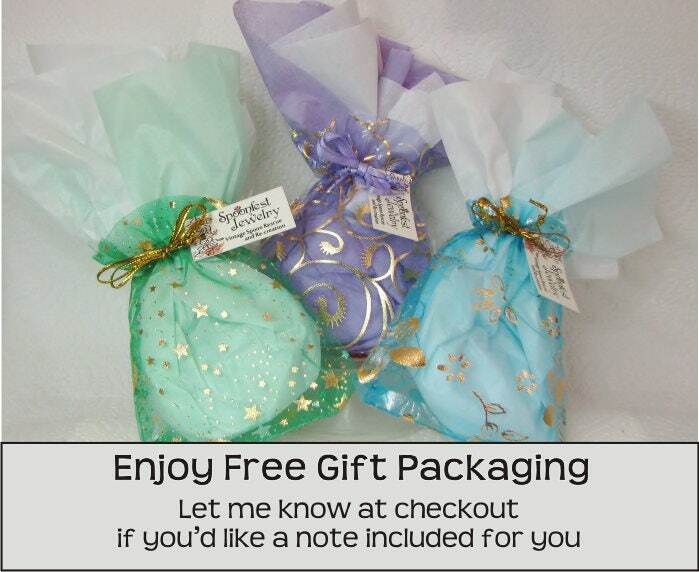 This classy little spoon necklace comes packaged in a festive organza gift pouch - along with details of the spoons and a Spoonfest Jewelry story card.